Media Doctor was launched in 2004 with the aim of providing an objective analysis of the strengths and weakness of the health news reporting in the Australian media. It also seeks to increase the completeness of health stories and, subsequently, health literacy among journalists and media consumers. 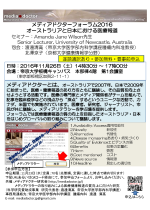 In Japan, research group started working for better communication between medical professionals and journalists since 2007. 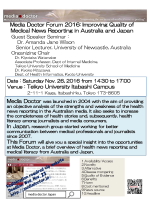 This Forum will give you a special insight into the opportunities at Media Doctor, a brief overview of health news reporting and medical literacy from Australia and Japan. 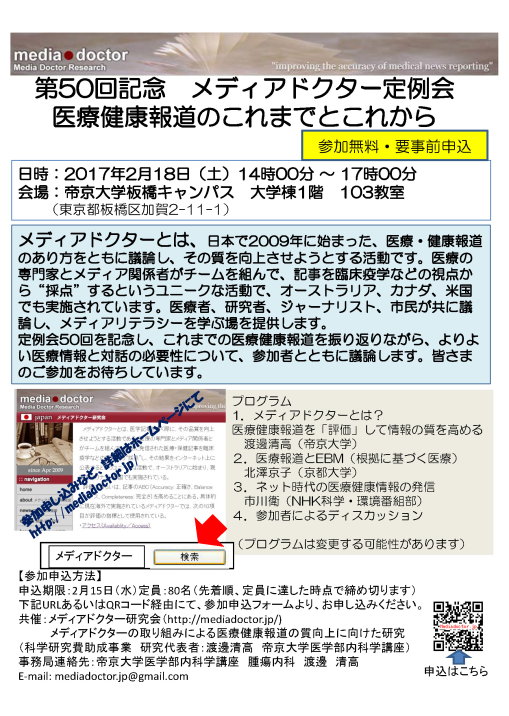 Copyright（C）2019　メディアドクター研究会　Media Doctor Research Japan　All Rights Reserved.